Welcome winter, and holiday guests, by turning your dreary outdoor space into an ever-green garden – complete with festive touches that can add a little cheer all winter long. 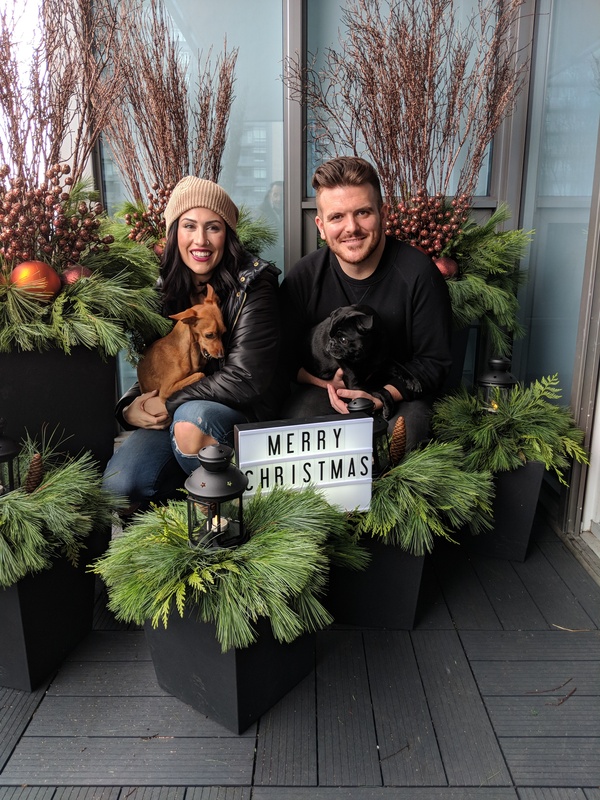 Whether you have a front walkup or condo balcony, you can have low-maintenance, long-lasting and sustainable planters with tips from our friend Frankie Flowers. Pick a planter: re-use your favourite summer planter, or get something new to add to your all-season rotation. We love the eco-friendly Tierra Verde Planters from Multy Home because they are designed to withstand Canadian winters and are made from Ontario recycled rubber that won’t crack in cold temperatures. So instead of filling the landfill, these urns are adding a festive flare to your space! Make a base: in the spirit of re-using, turn up your potted annuals to create a base for your planter. For a lighter piece, use the same pot, create your arrangement, then place it inside your decorative planter. Alternatively, you can fill the base with recycled rubber mulch. Find your flora: grab your pre-cut greens at a nursery, like Bradford Greenhouse, or make use of what nature has to offer – taking trimmings and fallen branches from your own backyard. Set & savour: if you used a dirt base, water it once to set it and forget it (thank you winter). Check out the urn makeover Frankie Flowers completed for 93.5 The Move’s voice of the morning, Blake Carter. Where to buy: check out Home Depot or Canadian Tire for recycled rubber planters.